The start of the new year also means the beginning of a new semester for college students — and new textbooks. Coming right on the heels of the holidays, many students are especially concerned about the costs of their course materials. Fortunately, schools and systems are looking for ways to keep those costs down. The Kentucky Community and Technical College System (KCTCS), which comprises 16 colleges with over 70 campuses, has worked closely with Barnes & Noble College to develop ever-expanding low-cost options and programs offered through the system’s campus bookstores. 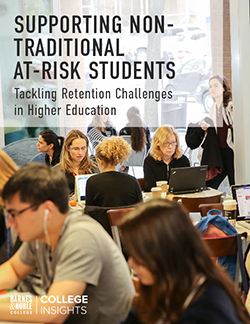 Over the last two academic years, this ongoing effort has saved students an average of $109 per year — and generated an overall savings of $14.5 million. Helping students save money and be better prepared for class often go hand in hand. First Day is an inclusive access model, in which course materials are included in the cost of tuition and delivered through a school’s learning management system (LMS), ensuring students have their course materials on the first day of class. Students don’t have to enter an access code — or wait to get their materials. Even better, First Day creates an average savings of 40 percent compared to the same content outside of the model. First Day creates an average savings of 40 percent compared to the same content outside of the model. For the 2017 fall semester, three colleges within KCTCS also took part in a Barnes & Noble Education (BNED) digital courseware program. Offered through First Day, BNED Courseware provides a low-cost alternative to traditional textbooks. The digital course content includes videos, activities and auto-graded practice assessments that make it simple for faculty to customize and align with class objectives. More than 1,000 KCTCS students used BNED Courseware this semester in courses ranging from psychology and developmental math to American history. In an initial follow-up survey, students shared positive reactions to the new courseware. • 78% rated the overall Courseware experience as good or excellent. • 86% said the textbook (eBook or print option) was the same or better compared to other texts used in college. • 74% said they watched all or nearly all of the videos included in the Courseware. • 83% said the videos helped explain the concept. • 85% used the self-checks included in the Courseware.